About a month ago I made the decision to purchase a rain SIM. I made the decision to join the network more out of curiosity and for testing purposes, more than an outright need for additional data. A few weeks I covered a story on Telkom Mobile’s LIT data bundles and what consumers should expect from the offering, surprisingly with a lot more value than what is sold at face value. 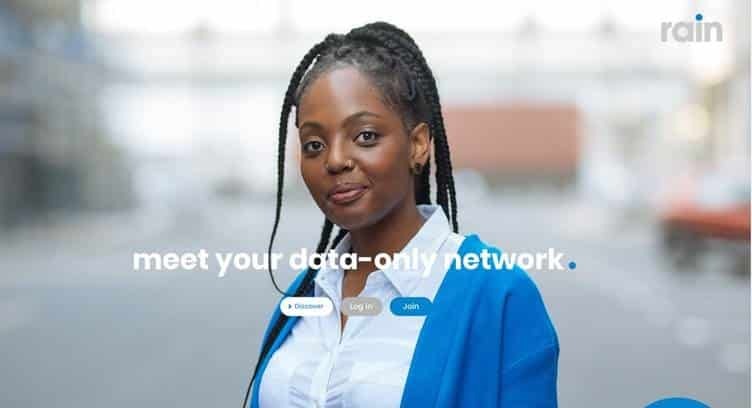 So, in a quest for yet another topic on South Africa’s data landscape, I decided to join the network that everyone had been talking about in recent months. The first thing worth pointing out here is that I made no contact with the media or PR team for rain, much the same as my approach to the Telkom Mobile story. Instead, I would be focusing on the piece in a manner every other consumer would experience. It was a Sunday morning when I made the decision to place my order via the rain website. That previous Friday I had approached the support by means of the online chat feature, but being 31st in the queue at the time, two hours had passed before reaching the top 5, after which I subsequently forgot about my place in the queue and decided to leave my desk. My queries were not answered. Still, it was an easy decision to make as the cost of the SIM would set me back only R120 with the promise of 15 full days of uncapped data usage. When I had placed my order, rain was in the middle of a PR crisis due to lack of support, poor delivery schedules, and a number of other setbacks put down as teething issues. While many had expressed their dissatisfaction of waiting a full 3-4 weeks before receiving their SIM cards – some not at all – I was more than shocked when I received a notice the very next Monday that my order had been captured and the package would soon be on its way to me. Even more surprising was the fact that the delivery had indeed been scheduled as I received the new SIM the Tuesday morning, less than 48 hours since hitting the approve button on my credit card purchase. Unlike most other network operators, users provide their proof of residence and ID to the delivery person, who would then feed the information to rain, after which your RICA process would be completed. I wasn’t prepared to wait for this automated process to kick in and, after finding a gap in my schedule an hour later, I once again hit the support team via the chat feature on their website. This time, however, the waiting time was almost halved before I was greeted on the opposite end. Once I explained my query, all I had to do was provide my order number and the assistant was able to complete my order. Within a minute my SIM was activated and I was ready to use the Internet on my new rain Mobile SIM. Which I did. Once the SIM was activated, I received an email that the data charges for June had been dropped and my 15 days of uncapped Internet usage would only kick-off on 1 July. Which it did. The two weeks in June of free uncapped data was a joy, along with the additional 15 days that followed in July. During this time, there had been a network-wide outage one Saturday, affected all the traffic that broke out beyond the company’s own portal. After a two-hour wait, the service was back up and running without any further glitches. Thankfully, I had my Telkom Mobile SIM handy to continue my work uninterrupted. This outage has been the only real issue I observed since first receiving the SIM. In terms of its overall speeds, there is a noticeable difference before the peak period – 6pm to 11pm daily – and then again after this. Between 7am and 6pm, the download speeds averaged around 20Mbps, with an upload rate about half that at 12Mbps. During peak periods, the speeds dropped significantly and would average just above 3Mbps without fail every day. Once the peak period ended at 11pm, the speeds were once again ramped up, this time achieving results around the 30Mbps mark, most likely due to the fact that most people would have shut down for the day by then. rain states that during these peak hours, real-time traffic is given preference over other content, which means that streaming services such as Netflix, DStv Now, and other live video feeds, receive higher priority on the network. This compared to other standard usage sites and downloads that don’t require a live feed, which then is quite heavily throttled during this time frame. The peak hour setting simply means that most users will adjust the daily usage patterns to fully utilise the service. During this window, I also experimented with my Telkom Mobile data in order to produce behavioural comparisons between the two packages. In all honesty, the streaming services of both ran without a glitch, as I could stream up to 720p without any concerns over lag or buffering. For sites such as YouTube, I was able to boost the resolution to 1080p without any lag or issues with buffering, even when purposefully utilising the network on a number of other sites in an attempt to interfere with the prioritisation of traffic. More than one month into my experience with rain Mobile, I am still a customer. New rain Mobile users would have noticed an amount of around R129 added to their account usage for the month of July, which has created a bit of a panic among many who didn’t understand the billing system. 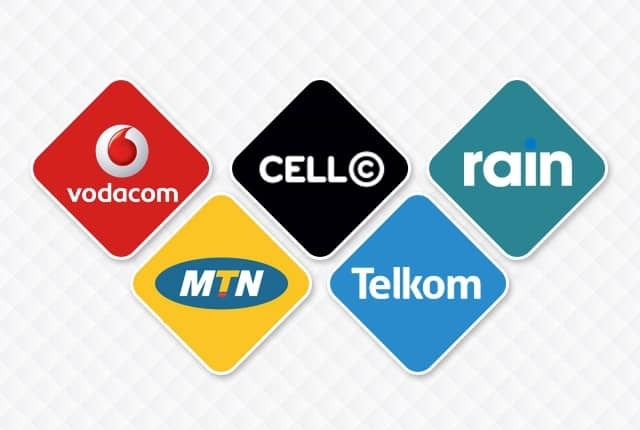 If you had selected the uncapped off-peak bundle, at a cost of R250pm, that amount had been pro-rated for the remainder of the month, and the adjusted total added to your bill, which would then be deducted from your bank account on 1 August. To have applied the R250 uncapped bundle, users would have to adjust their spend limits to R300, which then also accounts for the default R50 added to all accounts. More than one month into my experience with rain Mobile, I am still a customer. Having started off out of curiosity on the offer, I have grown to find value in the service, especially the R250pm uncapped offer. This is something that can’t be matched, at this stage, by any of the other networks. So while that price remains below R300, perhaps even up to R500, I’m happy to continue using the rain network at the current download and upload speeds. I am on the RAIN network too – via service provider Axxess. Their special offer during October 2017 was 50GB/month @R299 + free Huawei B315. Unfortunately they ran out of routers. It and the SIM were delivered on 4 Dec 2017. A very likable feature is the price of data top-up: R10/GB. So far I did not see deals to better this. I am happy with their service. I have now been given the run arround by Rain for 2 months. Here are the bugs I have reported that have not been fixed. 1. The information you get when you want your new SIM cards says you must have your RICA documents ready when the delivery comes. What they do not tell you is you need COPIES of your RICA documents as they can not process the originals. 2. If a SIM card is stolen you can cancel it but the cancelation only takes place at the end of the month. All data on the SIM should be blocked immediately but it is not. 3. If you had 3 SIM cards and one is stolen you can NOT get a replacement SIM. Max 3 against your ID number forever. 4. I have had the payment gateway say my payment was successful but Rain says it was not. I am still awaiting an answer on this one. 5. They gave me free bandwidth while they fixed the problems after I asked for it but they still billed me for it. As I now refuse to pay for free data I am cut of. The amount owed on my dashboard is not correct and they expect me to pay. 6. During the free bandwidth period I was still cut off between 6pm and 11pm because I refused to increase my spend limit. 7. It is not clear to me whether the free data days only apply for the signup month or every month. 8. Support staff laugh at me to my face when I complain. 9. Faults are escalated and then closed unilaterally without feedback from the client. This results in multiple escalations that never get attended too. 10. Requests to call you back are ignored. Requests that the managing director call you are ignored. Messaging the directors on Twitter is ignored. Not one senior person at Rain has ever gotten back to me even though I have requested this multiple times. 11. There is no longer a chat option on my dashboard so I can not chat online about my problems. My advice is do NOT do business with Rain.